Start by defining your user. Depending whether you want to create a casual game, or a more serious one, you should define the timing of the gameplay. If you want your players to play the game between activities, then think in terms of a casual game, add saving modes etc. But if you want people to get serious about your game, devote their time to it, you have the liberty to create a more intricate game, with achievements and longer gameplay. Negative emotions such as boredom or loneliness trigger habit formation, says Nir Eyal in his book “Hooked: How to build habit forming products”. According to him, when developing a game, you should find a way to use the game to trigger emotions. 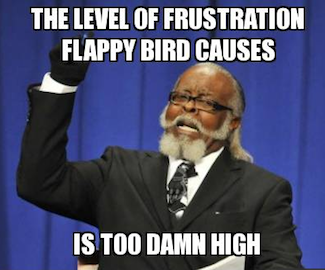 Take Flappy bird for example. They played the frustration card, just as this meme says. And it worked. Just like with any other activity, colors you use will have a huge impact on your users. There are many different psychological researches that explain how color affects our behaviour and mood. Read about it before working on the design of the game. People like to be challenged and that makes them keep playing the game until they win. Your game shouldn’t be too difficult, but not too easy either. Find that perfect balance, add some awards at unpredictable times to make them play towards something or create competition between users. Make several levels or series, but don’t reveal details at the very beginning. Simply let them know that there will be more levels. Add notifications to remind people that they have an unfinished level, that awards are waiting for them or that another user is beating their high scores. Basicly, find a way to remind them to come back to the game. 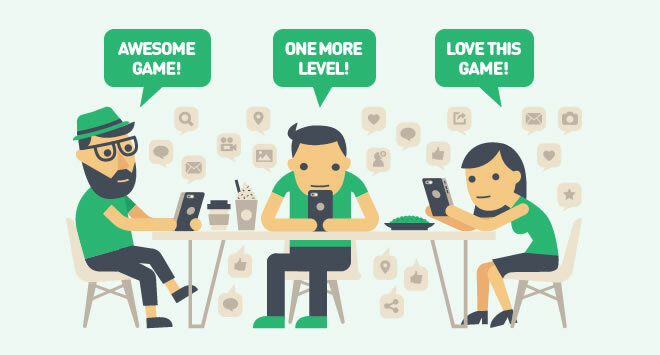 Repeat this until you have integrated social deep into your game. Make it easy to share, or make them win points for sharing with friends. Despite many rules that exist, never forget that the game should be fun. 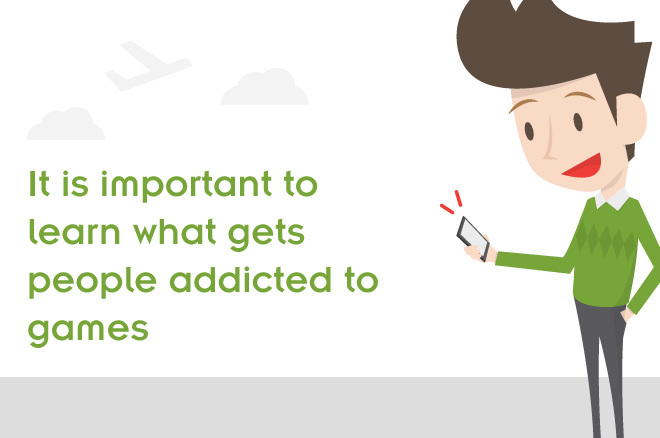 We enjoy playing them because they increase our dopamine levels. Define your users, find your niche market, and enjoy creating something that will bring joy to people! Copyright © MoCoPay 2016. All rights reserved. Sign-up - it's free and it takes less than 30 seconds. Please check your email and follow instructions. If you don't receive our email please check your spam filter or try again.